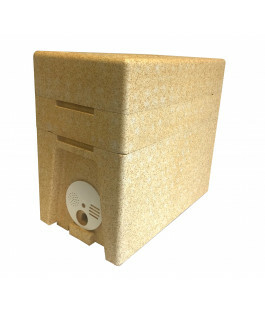 Our popular Poly Nuc complete with frames and foundation. 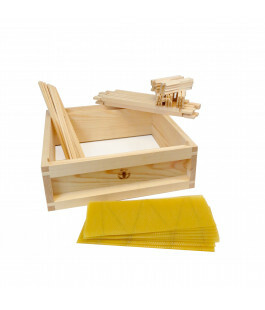 Also, with a deeper roof so you can fit a 1kg pouch of Candipolline or fondant in your miller feeder. Fully assembled Wooden Nuc with frames and foundation. 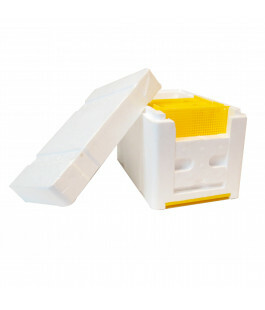 Can be used to collect swarms or for splitting your colony. Suitable for most British National frames, excluding National 14 x 12 Brood frames. 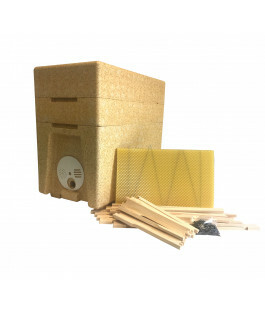 Used as effective way of rearing new Queens and colonies. Includes queen marking tools. Complete with our handy guide on how to use your mating hive. 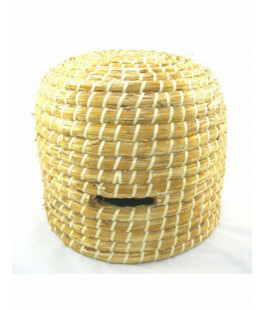 Traditional hand crafted straw Skep used for collecting swarms. 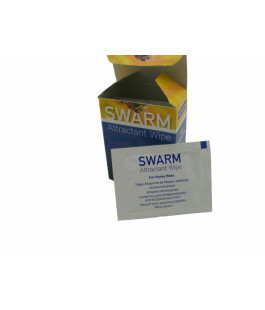 Formulated from natural plant oils to attract bees during their swarming season. Made with quality high density European Redwood that has been externally weather treated. Jointed, screwed and glued for your convenience. Durable latex gloves with fabric lining for comfort whilst offering protection against bee stings. These gloves are factory seconds with minor defects to the latex. Welcome to Simon The Beekeeper! 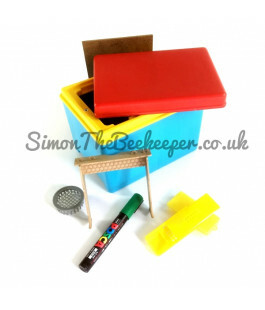 Simon The Beekeeper LTD provides cost effective beekeeping equipment. Our shop and head office is based in the East Midlands in England. Located between Leicester, Coventry and Birmingham. We have over 400 products available to purchase in store, online and we ship them worldwide. We offer free postage to all UK Mainland orders over £100. 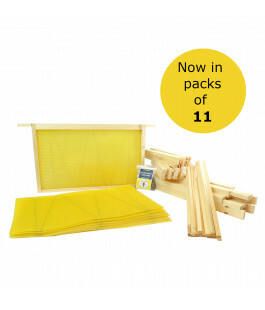 So if its beekeeping tools, Clothing or Poly Hives that you need we can get them to you. We have built up strong relationships with top quality UK and International suppliers and are proud of the products we design and produce together and strive to supply the best quality at the best prices. 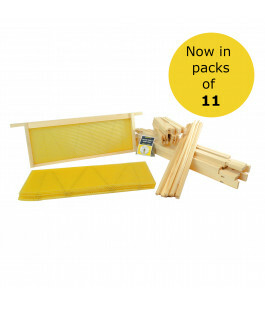 We insist on offering our customers the best value beekeeping equipment, passing down the great discounts we negotiate. We sell across other selling platforms but you will always find our best prices on our site. 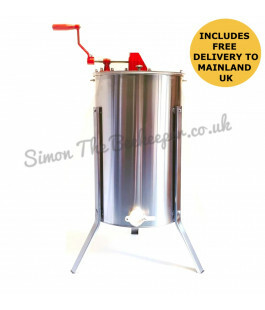 The team at Simon The Beekeeper are all dedicated in helping fellow Beekeepers. We understand that our customers demand a quick and efficient service. Bees will not wait! Our aim is to dispatch all orders on the next working day. We also offer premium delivery options when required. Simon started Beekeeping after undergoing a heart transplant. 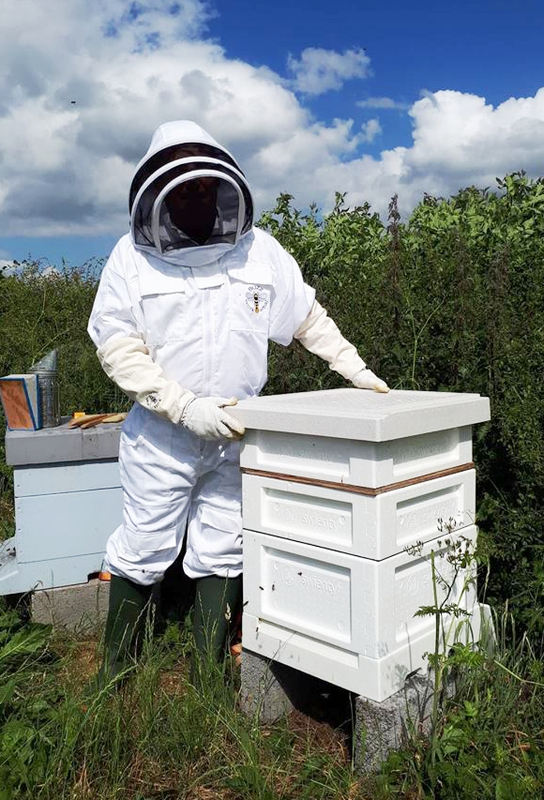 The national ‘Save the Bees’ campaigns caught his interest and Simon set out to play his part by reintroducing Honeybees back into his local village, near Hinckley. His admiration and respect has kept growing for the species that play such a vital part in the worlds ecology.